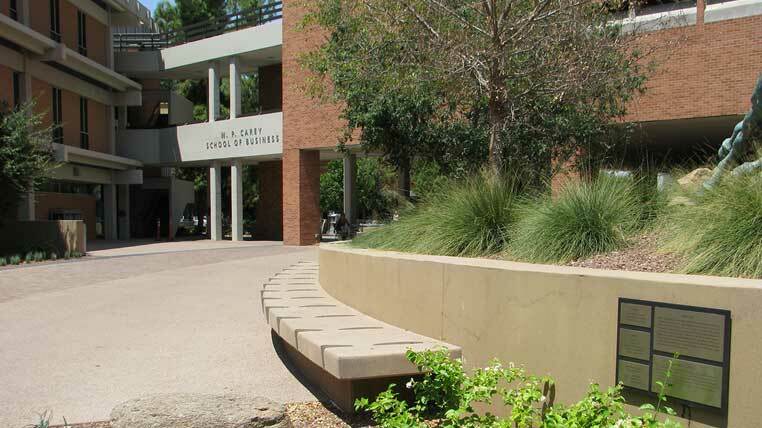 Project Description: Master planning and final engineering for the complete renovation of the ASU school of business campus. 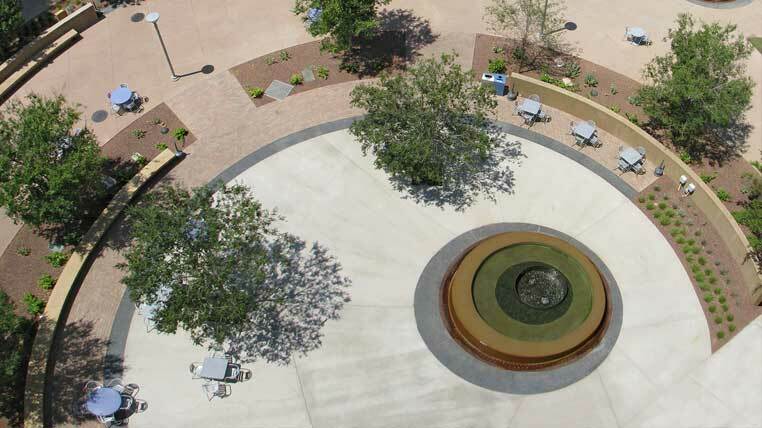 This highly trafficked pedestrian mall near the center of campus included several large water features, fire access lane, outdoor seating and dining space, and extensive site lighting enhancements. 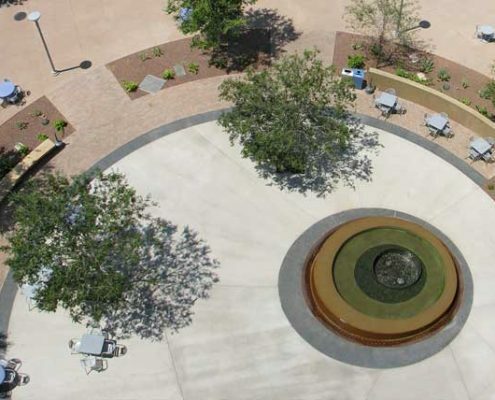 The renovation of this existing public plaza contained two elaborate water features, one of which was not functioning. There was a very tight construction schedule of 11 weeks as the work had to be completed during summer break. Because of the compressed schedule, CVL provided very comprehensive construction services, essentially acting as a construction manager. CVL was able to meet this construction schedule. Through value engineering our team continually looks for ways to save time and money. 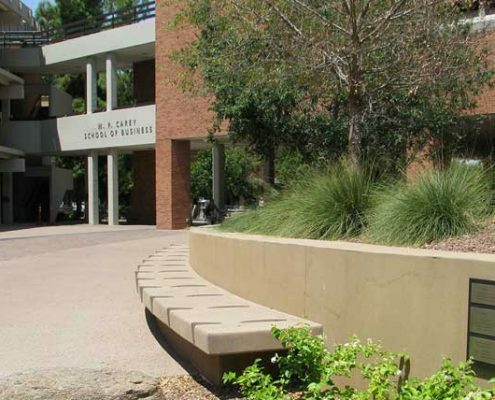 The ASU WP Carey School of Business plaza was constrained by a short design and construction schedule (6 months combined) and tight budget. CVL coordinated a unique project delivery method, a hybrid CMAR, and continually evaluated costs with the contractor during design development. This early coordination reduced design development estimates of $2.4 million, to $1.7 million with a $100,000 contingency at the permit stage, for an overall savings of $600,000 or 25% of the construction costs.